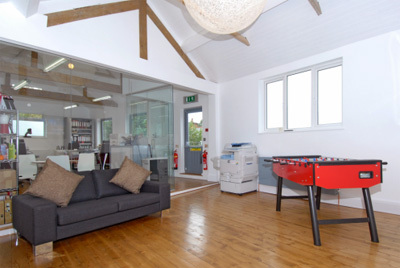 The Corn Works provide fully furnished serviced offices, near London, in the centre of Radlett, Herts. This is the ideal managed office space located close to the M25 (Jct 22), M1 and M10. Within close proximity of St Albans, Watford and Borehamwood. Heathrow, Luton and Stanstead airports are reachable within 45 minutes. Our serviced offices are let on a licence, inclusive of all daily running costs.� In addition, any Business Rates payable will be paid by us. You owe it to your business. The Corn Works is the serviced office you deserve. Call The Corn Works on 0845 872 4949 today.